Set of 7 colored hair dying bowls. 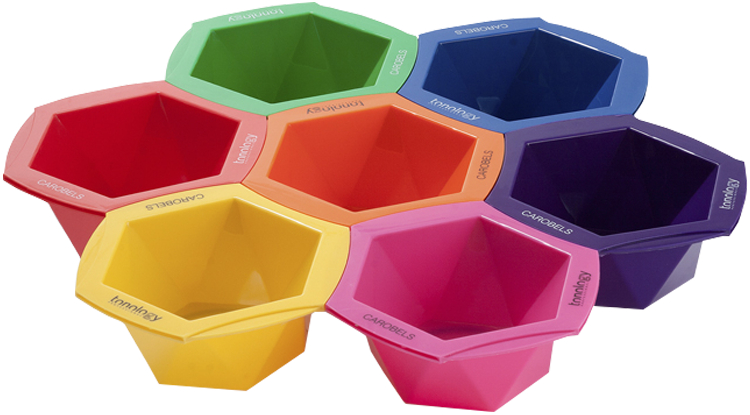 Iris Tonology Bowls is a colored set of 7 hair coloring bowls with an innovative polygonal design. Combine them as you want and use different colors to differentiate the hair dyes. Durable and easy to clean material. Anti-slip rubber base.